As an arts institution situated in a once very isolated part of the country, the Seattle Art Museum grew and developed into the museum it is today only by the generosity and boldness of its supporters. Our co-founders, Dr. Richard Fuller and Margaret MacTavish Fuller, both played central roles in SAM’s success story. Another figure who became crucial to the museum in its formative years was Sherman E. Lee, who served as Assistant Director and Associate Director over four years at SAM, 1948–1952. Lee was a specialist in Asian art, and Dr. Fuller brought him on board specifically to grow this part of the collection, but his impact would be felt in much broader ways. It was Lee who had the vision to convincingly lobby for Seattle to be included in a regional galleries program launched by the Kress Foundation during Lee’s tenure at SAM. The Kress Collection was a five-and-dime fortune converted into a nearly unmatched holding of European Old Master artworks. As a result of Lee’s ambition, Seattle and SAM became one of 18 regional sites selected to host pieces of the same prestigious collection that fills much of the Renaissance galleries at the National Gallery of Art in Washington, DC. Not only was SAM chosen to receive some of the fine Kress pictures, but in a moment of plucky brilliance, Lee negotiated for an even better group of artworks than were originally intended for Seattle. In May 1950, Lee made his case to Kress Foundation art director Guy Emerson, writing that “our Ancient, Medieval, and Oriental collections contain many master works comparable to some of the famous paintings in the National Gallery and those in Mr. Kress’ marvelous living room. Consequently, we are interested in seeing our own Western tradition of painting represented by works which will bear comparison with the others.”1 His is a bold proclamation of Northwest arts pride, the fruits of which we’re still enjoying today, as the Kress artworks remain the core of SAM’s European painting and sculpture collection. Too big?! Incidentally?! Thank goodness that wasn’t the end of the conversation. 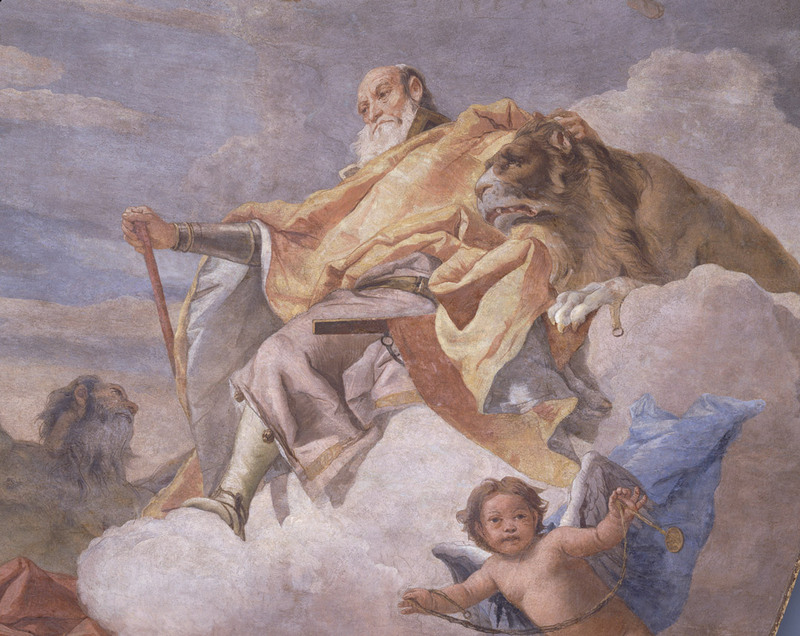 Imagine if we missed out on the remarkable Tiepolo ceiling The Triumph of Valor over Time because of its awesome dimensions. What a loss it would have been. In the end, accommodations were made, with SAM raising the ceiling height of its Kress-devoted gallery five feet in order to provide a suitably illusionistic viewing experience. Today, The Triumph of Valor over Time looms above the Porcelain Room, where its 18th-century aesthetic and pastel palette play well with the artfully arranged decorative objects filling the space. In a nearby gallery you’ll spot the masterful little bozetto, or painting sketch, that initially caught Sherman Lee’s eye. IMAGES: The Triumph of Valor over Time, ca. 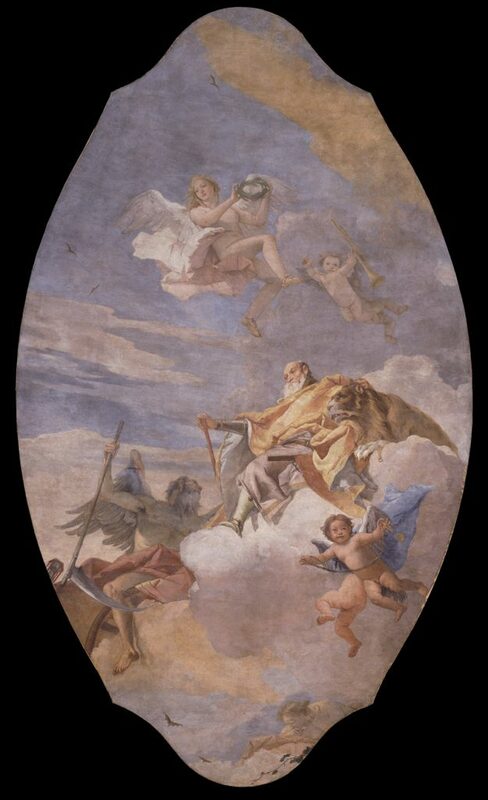 1757, Giovanni Battista Tiepolo (Italian, 1696-1770), fresco transferred to canvas, 200 x 90 in. Samuel H. Kress Collection, 61.170, Photo: Paul Macapia. 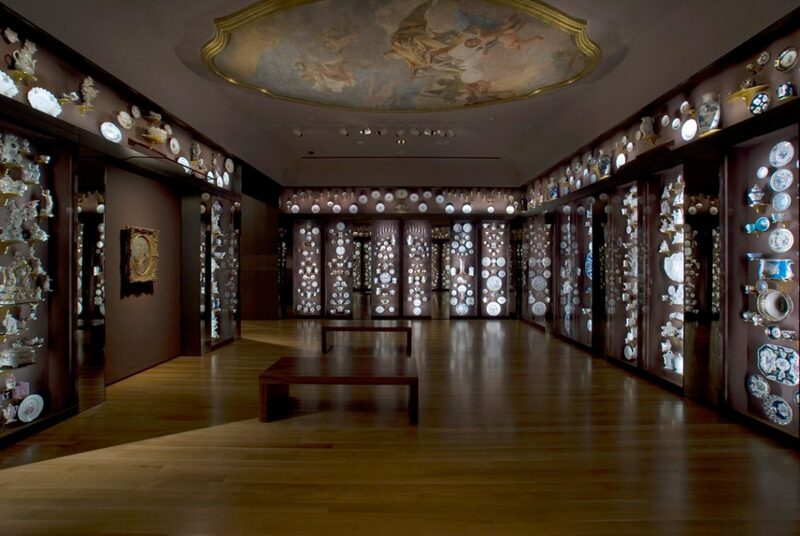 Installation view of the Porcelain Room at the Seattle Art Museum, Photo: Paul Macapia. 1 Quoted by Marilyn Perry in “The Kress Collection,” in A Gift to America: Masterpieces of European Painting from the Samuel H. Kress Collection, ex. cat., New York: Harry N. Abrams, Inc. in association with the North Carolina Museum of Art; The Museum of Fine Arts, Houston; the Seattle Art Museum; and The Fine Arts Museums of San Francisco, 1994; p. 28.